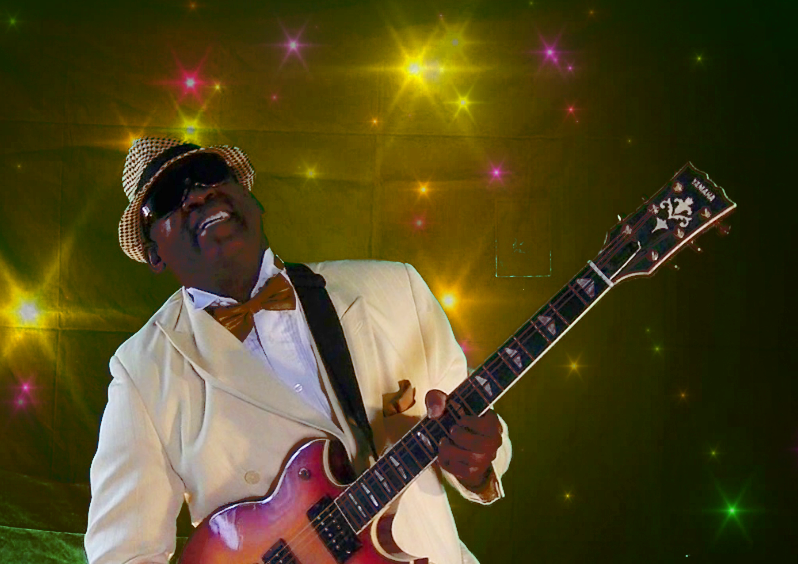 PaSTOR D - The Guitarist - (EPT) Excellence Private Training Sign up online today! PaSTOR D sign up today for private training (In-Home). We provide piano, guitar, bass, keyboard sequencing, voice, song writing lessons. Also audio & video production graphic design, website designing and ministry preparation & bible training. I’ve been playing the guitar since 5 years of age. At the time, my father ‘The Late: King Dennis) played guitar for a Gospel quartet (The Golden Stars). Often times he would leave his guitar on the bed before going to work. After watching Dad play the guitar, curiosity drove me to pick up the guitar and pretend I was playing it. Over a period of time I asked Dad to show me how to play the guitar. Actually I was still too young and fingers to tiny to finger a guitar chord. Nevertheless, I continued to try until I became old enough to play a few chords. From about the age of 7, I attempted to teach myself the guitar. Learning to play songs from the radio and 8-Track Tapes is how I started to learn the Art of playing the guitar. From the age of about ten I started my life as a guitarist even playing in Night Clubs of which I was legally too young to go in. An extremely aggressive manager always talked Club owners into allowing out “too young” band members to still perform. I continued to perform with R & B bands through my adult life. Eventually, I gave into an inner urge to just play in the Church. Even then, I felt disconnected to the “Smoky” atmosphere of The Night Club atmosphere. Although I enjoyed performing on stage with the bands I continued to have conflict with the loose life style associated with “Secular Music.” Even as I am now, cleanliness, neatness, integrity was always causing me to be in conflict with musicians and singers into drugs, alcohol, and fornication. Sometimes they will say to me “You’re in the wrong field.” Thanks be to Almighty God that half of my earlier life was enjoyed with being interested in illegal drugs and alcohol. Even during the “Secular Music Years” I was always trying to organize, teach, and maintain integrity within the group. Truly I admired and appreciated all the band members. We were like a family to one another. The fellows being a part of my life also provided me all types of experience that now I use strictly for the glory of God. God eventually led my heart away from the “Performing Display” of my many talents, instead to teaching. TEACHING!...... Oh my God, is what I live and breathe to do. Although playing the piano is my primary composing and most taught instrument, playing the lead guitar is my “EMOTIONAL RELEASE” passion. Sometimes I may play the guitar in private as my worship unto the Lord. It is at this time my heart becomes so full. Yes, I do a great deal of crying when I play the lead guitar. God has blessed me to express all that is in my heart. Thus doing so is never intended for “Showing off” my skillfulness. Of course I don’t mine others witnessing my intimate moments on the guitar. Rarely do I venture outside of teaching. Perhaps, something comes along every now and then that I may leak out in a public setting. Ultimately, teaching what Know on the guitar is what I’m equipped and called to do. Many people does not accept this of me and therefore think less of me sharing my skills through teaching. Showcasing talent seems to be the average motivation behind most people fantasy to be great. Thank God I’ve overcome that allurement.